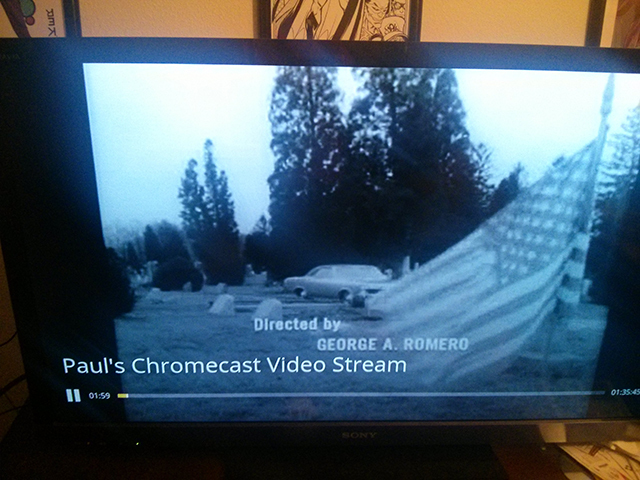 With millions of Chromecasts sold and the Android TV ready to burst into living rooms, knowing how to build an app that supports casting should be in every Android developer’s toolkit. This post will cover making an Android sender app to cast videos to a receiver app for displaying content on a television. All code for this example can be found on GitHub. 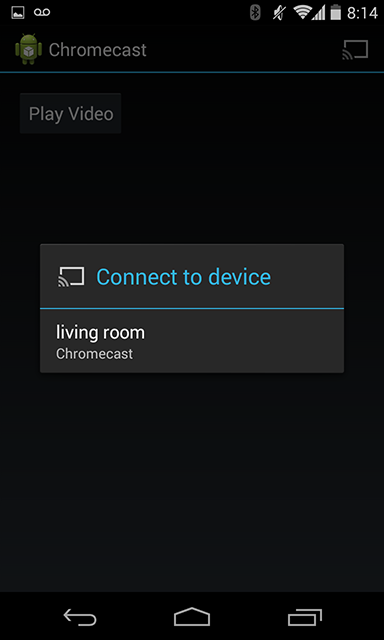 For this tutorial, we’ll use an unstyled receiver application created through the Google Cast Developer Console. While there is a generic default receiver application that can be used, this will provide an option to style the default receiver, or build your own if needed. Once the generic receiver application has been created, make note of the application ID, as we’ll use that later. 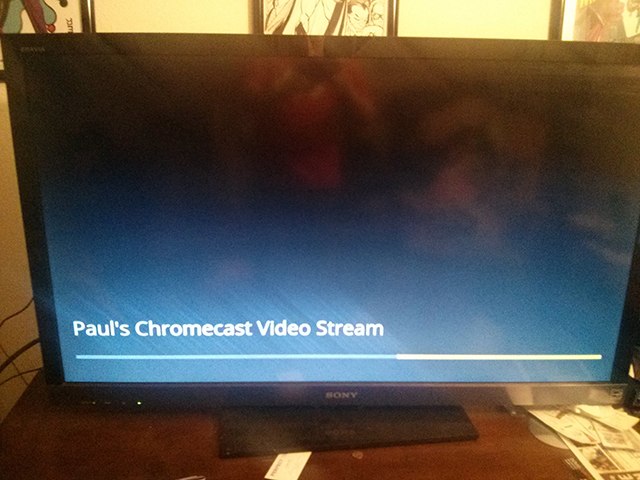 If you haven’t already, you’ll also want to register your casting device in order to run debug applications through Google Cast. Now, let’s get to work on our Android application. The first thing that should be done is adding the libraries that we’ll need to our build.gradle file. The next thing that we’ll need to do is add the media routing button to our activity’s menu file. This action bar button handles all of the state logic needed for hiding or displaying the casting button, as well as coloring it when the app has connected to a casting device. For our last housekeeping item, we’ll need to add some values to strings.xml, such as the video URL, receiver application ID and general UI strings. You’ll need to replace app_id with your application ID, and video_url with a video that you would want to play. 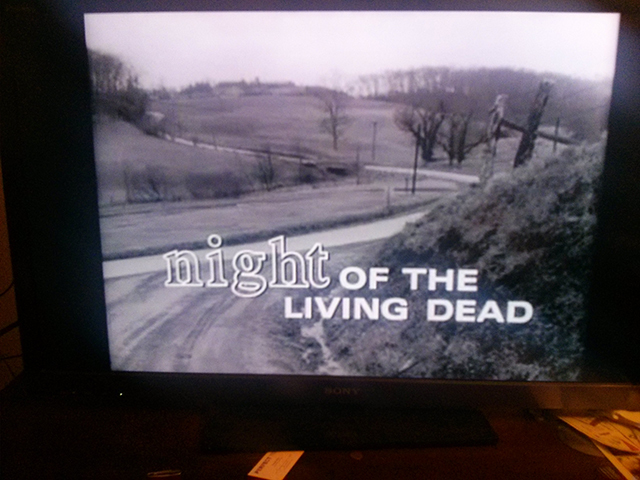 For this example I picked up a link from Archive.org for the George Romero classic Night of the Living Dead. Now that all of the preparation work is done, we can move on to working with our casting activity – MainActivity.java. To start, I’ve added a set of declarations to the top of the class to keep track of our casting components and general state logic. The UI for this activity consists of a single button that will start a video if the app is connected to a casting device, or can pause/resume a video once it has been started, and the media router button in the action bar. In onCreate we simply initialize the click listener for the main control button and the media router, selector and callbacks. Since the media router button exists in a menu file, we need to also override onCreateOptionsMenu and associate our selector with the MediaRouteActionProvider for the media router menu item. We’ll also want to associate the media router callbacks with our router button in onResume. mMediaRouterCallback is an extension of MediaRouter.Callback, and provides methods for performing actions when a route is selected or unselected. At this point your application should display the media router button in the action bar if you are on a network with a casting device (assuming you have stub methods in where necessary). It will also allow you to choose a casting device to interact with. As you probably noticed, MediaRouterCallback does a few different things in onRouteSelected. First it initializes mCastClientListener, which has methods for checking when an application status has changed, volume has changed or the client has disconnected from the receiver application (I’ll go over the teardown method later). Next the RemoteMediaPlayer is initialized. This object controls playback with the receiver, as well as provides a lot of useful state and status information. At this point the application will start up our generic receiver application on the television. In onCreate we added a method call to startVideo. As you may have guessed, this method is used to start video playback on the receiver if it is connected. This method is also where we could start a local player if the app is not connected to a receiver. The last few methods to cover generally have to do with some cleanup to keep the app from crashing and to properly close a connection to the receiver. When the connection fails or the app is no longer running, we will call the teardown method. …where teardown simply closes the casting connection and disconnects from Play Services. We also have to remember to remove callbacks from the MediaRouter that we added during onResume. 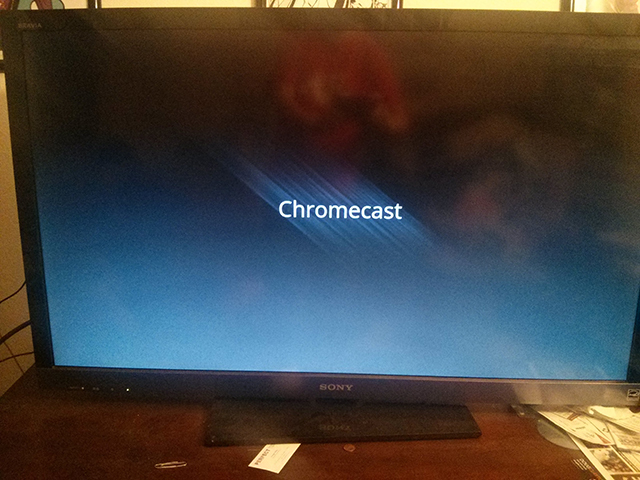 And with that, we have the base functionality for a Google Cast capable Android sender app. If the source code on GitHub doesn’t make sense, or you have other questions, please comment below!